Like the new comer to preliminary school or higher one, there is a new experience and also extra attention for new student that must be prepared before they entering new 'school' so the new environment can be more friendly for them. Similar to that condition, preschoolers (children and toddlers) who are heading to kindergarten often need some extra attention. Preschoolers are pretty smart about these transitions and sense the unpredictability of going to a new classroom. Often they wonder about making friends and getting used to a new teacher or other question that might be questioned and worried by parents like, will they be able to find the bathroom, where will they eat snack, how they treat their other friends? and so on. Talk about the transition to your child or toddlers in a positive way and try not to let your own anxiety about the change show too much. Visit the school as soon as you can. If your school offers visiting days, do your best to have your child attend. If your child’s kindergarten provides a daily schedule of activities ahead of time, go over it with your son or daughter. Take photos of the school, the classroom, and the new teacher, if possible. See if you can find out some of your child’s new classmates, and set up a play date. 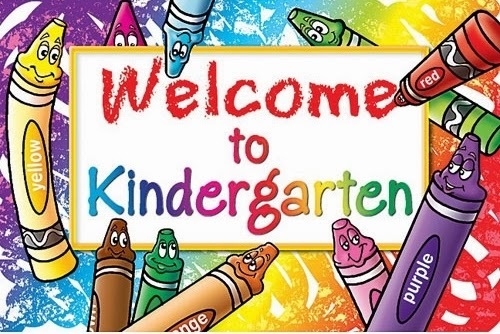 Some schools offer playground dates for incoming kindergarteners. Tips Before Preschoolers Going To Kindergarten Is original article written, if you find that Tips Before Preschoolers Going To Kindergarten is violating DMCA please don't hesistate to contact me http://edutoddler.blogspot.com/2013/12/transition-from-preschoolers-to-kindergarten.html, and Thank For Visit Early Learning Methods for Child and Toddler.